Fifth Major Award for Veeam Backup & Replication Since Jan. 1; Judge Says Veeam "sets the bar for virtual server backup and recovery"
Veeam Software, innovative provider of backup, replication and virtualization management solutions for VMware vSphere and Microsoft Hyper-V, has been awarded Silver in SearchStorage.com 2012 Products of the Year in the Backup and Disaster Recovery Software and Services Category for Veeam Backup & Replication. The award was presented by the editors of TechTarget's Storage Media Group and was judged by the Storage Magazine-SearchStorage.com editorial staff, in conjunction with a team of users, industry experts, analysts and consultants. The SearchStorage.com article announcing the award notes: "The product has a history of leadership in the virtual server backup space, and continues to offer its core features such as vPower, which enables features like Instant VM Recovery, Universal Application-Item Recovery and SureBackup." In addition, the article quotes a judge as saying that Veeam Backup & Replication 6.5 "adds several good incremental features to an already feature-rich, quality backup product" and that "it sets the bar for virtual server backup and recovery." This is the fifth major award that Veeam Backup & Replication has received since Jan. 1, 2013 from a North American technology trade publication. 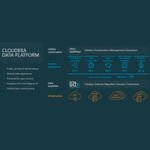 Others include a 2013 Reader's Choice Award from Virtualization Review, a 2013 InfoWorld Technology of the Year award and two awards from the 2013 Redmond Third Party Reader's Choice Awards. Veeam Backup & Replication provides powerful, easy-to-use and affordable modern data protection for virtualized applications and data. It unifies backup and replication in a single solution, increases the value of backup and reinvents data protection for VMware vSphere and Microsoft Hyper-V.
"We are honored that Veeam Backup & Replication was chosen for this prestigious award from SearchStorage.com and Storage Magazine. In fact, it's the fifth major award that our product has received from technology trade publications this year, and we're only halfway through February. Given the advancements that we intend to deliver in 2013, we believe that five awards is only the beginning." Veeam® Software develops innovative solutions for VMware backup, Hyper-V backup, and virtualization management. 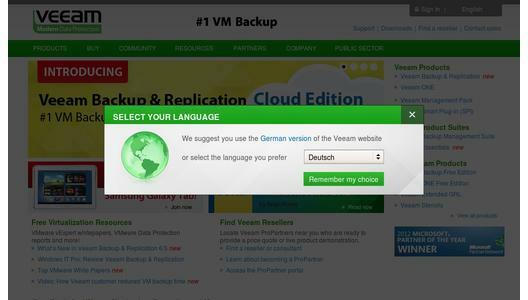 Veeam Backup & Replication(TM) is the #1 VM Backup solution. Veeam ONE(TM) is a single solution for real-time monitoring, resource optimization and management reporting for VMware and Hyper-V. The Veeam Management Pack(TM) (MP) and Smart Plug-in(TM) (SPI) extend enterprise monitoring to VMware through Microsoft System Center and HP Operations Manager. Veeam also provides free virtualization tools. Learn more by visiting http://www.veeam.com/.